Circus lions – A little lion shows the bigger picture. Firstly, apologies on the lack of blog posts the last two weeks – end of semester coursework dates have gotten the better of me. But now I have a little more time, the issue on my mind this week is the thought of animals in circuses; or more specifically, performing Big Cats. On one of my earlier blogs I described how the sound of a lion’s roar sounding across Shamwari Game Reserve was one of the things that I loved about spending time on the reserve, so the thought of these powerful and majestic creatures being reduced to performing in a circus tent truly saddens me. This issue is in the forefront of my mind after reading a Facebook post by the Born Free Foundation which linked to an article about them backing a 4 year old boy’s wish to ban the use in animals in circuses. 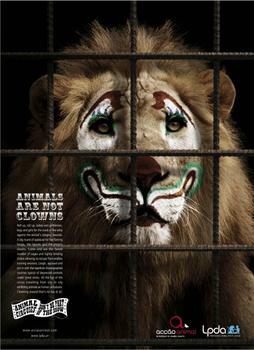 According to the British publication; “The Guardian”, an independent paper, prepared for the Department for Environment, Food and Rural Affairs (Defra) in 2008 found there were 47 wild animals being used in UK “big top” circuses, of which 11 were big game cats. Although many people feel that the use of animals in circuses in traditional and provides “family fun”, what goes on behind the scenes is more like a horror movie. At many of these circuses, lions are kept in tiny cramped cages, their teeth removed and claws cut off. Some, like Born Free’s Sinbad, have their growth severely stunted by being kept in such small enclosures and poor conditions. I visited Sinbad several times at the Julie Ward Sanctuary in Shamwari and fell in love with this tiny lion. Sinbad is about half the size of a regular lion – which is something that takes a little getting used to when you first see him. I wonder how many other lions (or any big cat for that matter) have to face years of being in an enclosure far too small for them? And for the sake of ‘family entertainment’? 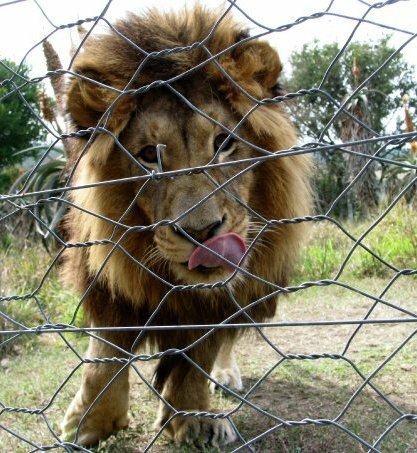 What do you think – is it time we broke tradition and allowed lions, Big Cats and other performing animals to live free?